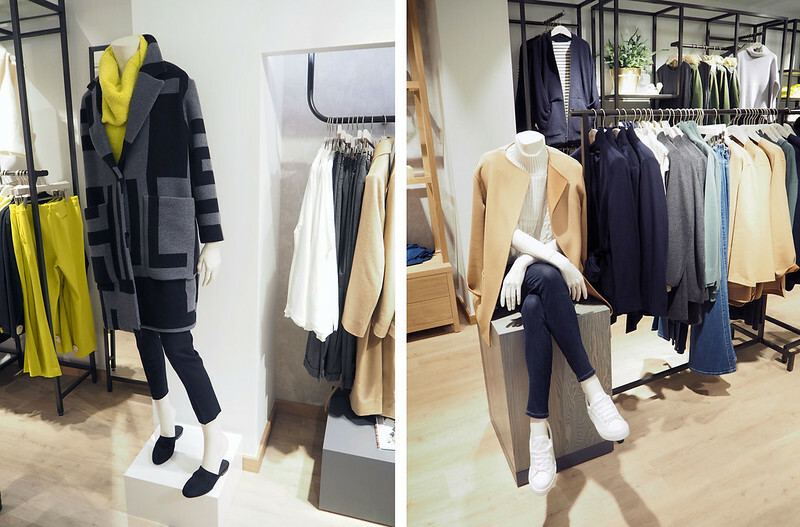 A brand that I’m totally in love with right now is the long-established British brand Jaeger. 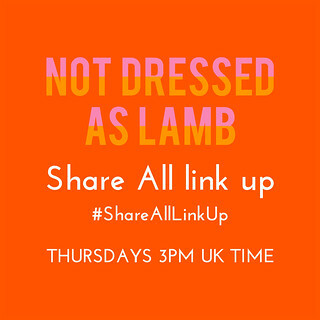 Right now they are producing the most modern, stylish clothing that’s perfect for the over 40 woman. 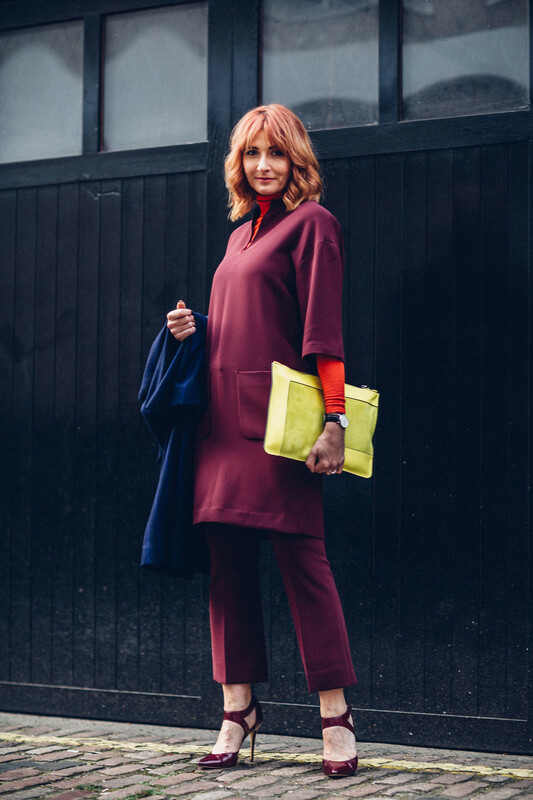 I think this bold outfit speaks for itself: I wrote on my Instagram caption when I first featured it that it was so perfect I’d marry it – in fact my husband should be seriously worried as I’d be happy to run away with it, never to be seen again…! 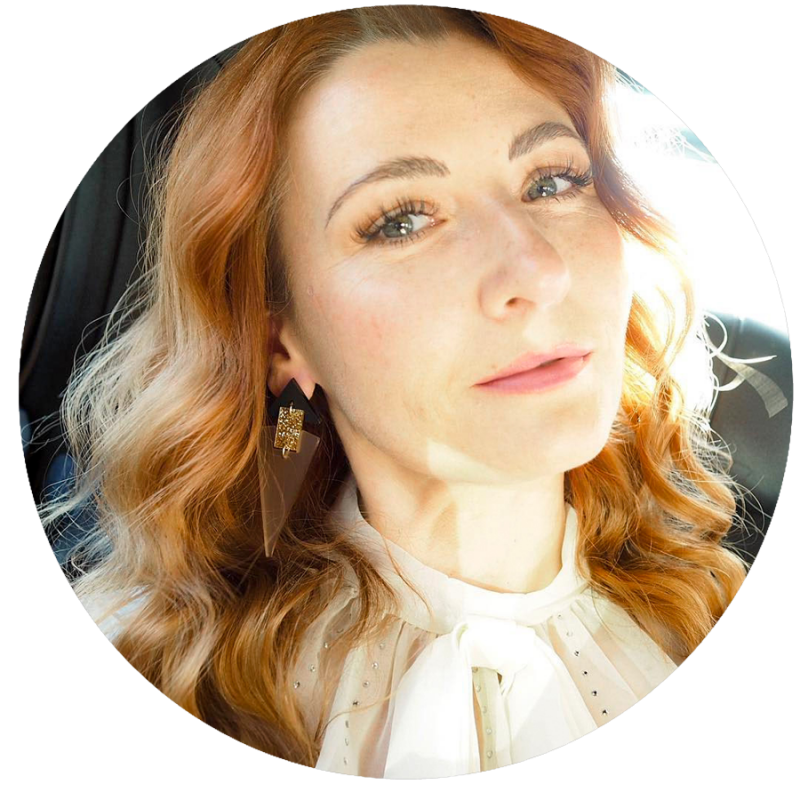 The other week I was invited to the brand new Jaeger store in Marylebone High Street, London, to pick out an outfit and peruse the new store and collection and explore the area. Although I know the main parts of London pretty well having lived there during my 20s, Marylebone is an area I’m not that familiar with. And it’s wonderful. It’s classy, vibrant and exciting… It makes me miss living in London. 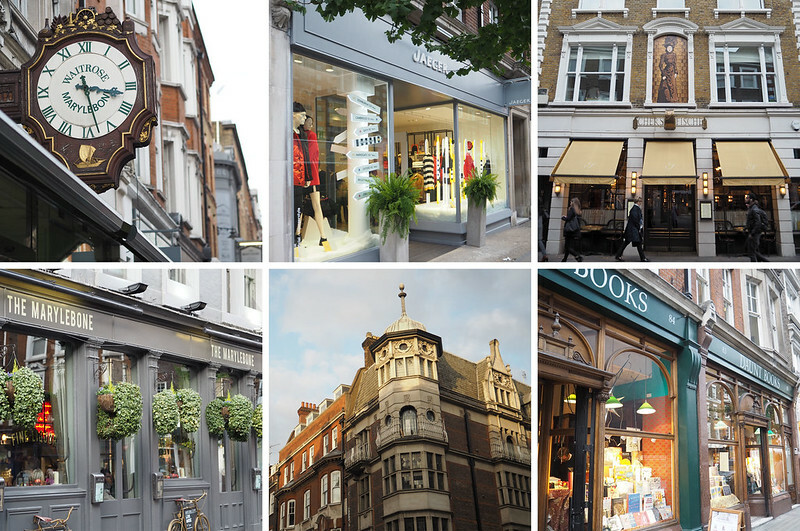 As someone who generally dislikes high street shopping, the Marylebone experience is spot on because it’s got just the right amount of busy people without being touristy, and just the right shopping destinations without feeling like you’re on a typical high street. 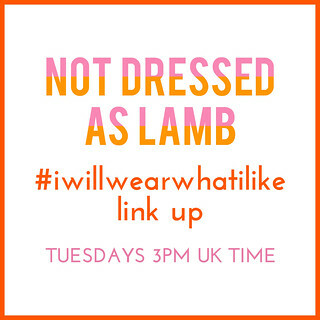 More on Marylebone Village at the end of the post… Let’s talk clothes first! This whole outfit could possibly be my favourite ever. 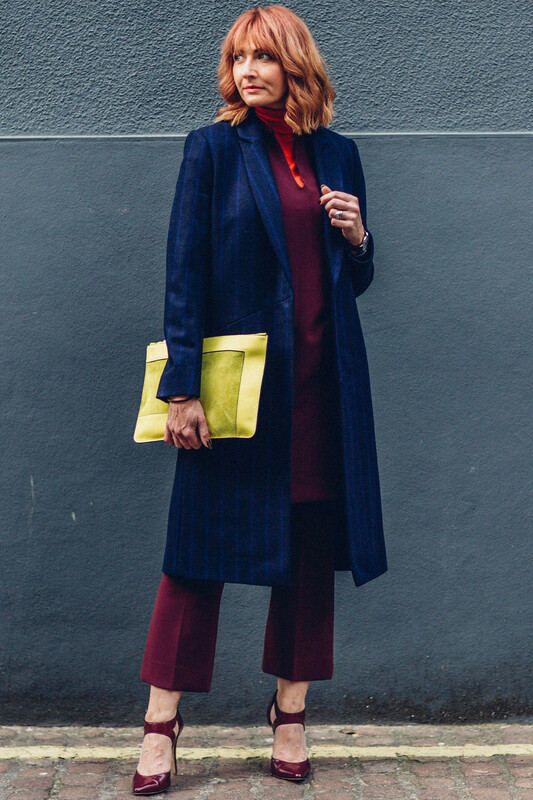 The rich jewel tones and beautiful tailoring combined with the layering make up a very striking, very “me” outfit. 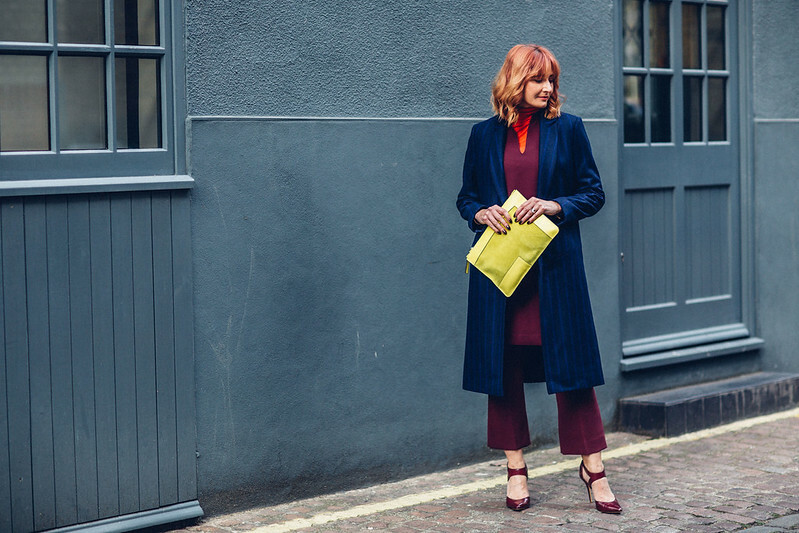 Each piece is going to be versatile in its own right… The pinstripe coat adds to my collection of flattering duster coats. The kick flares (also in black and yellow) work so well with the matching dress and will work under many other dresses I have. 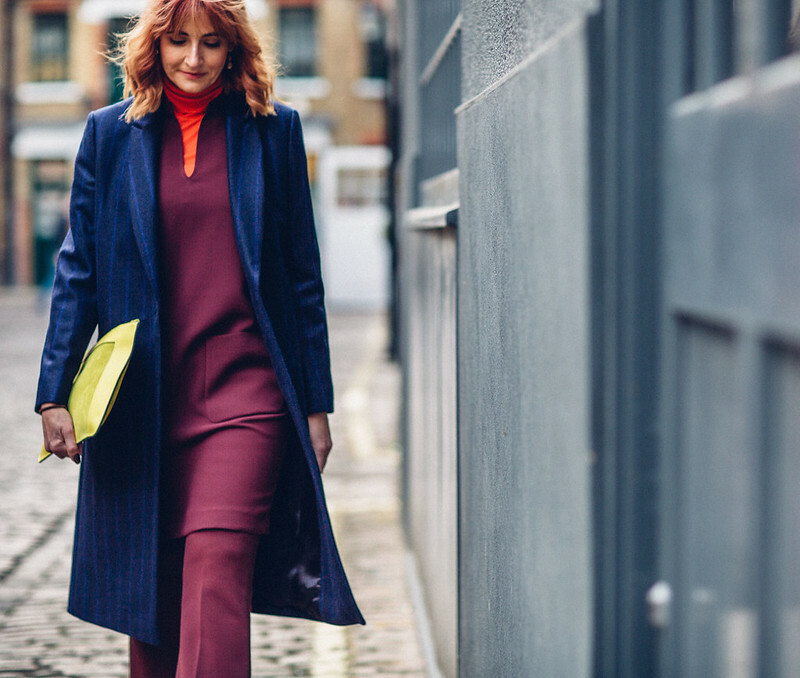 The roll neck is on trend and a beautiful bold colour. 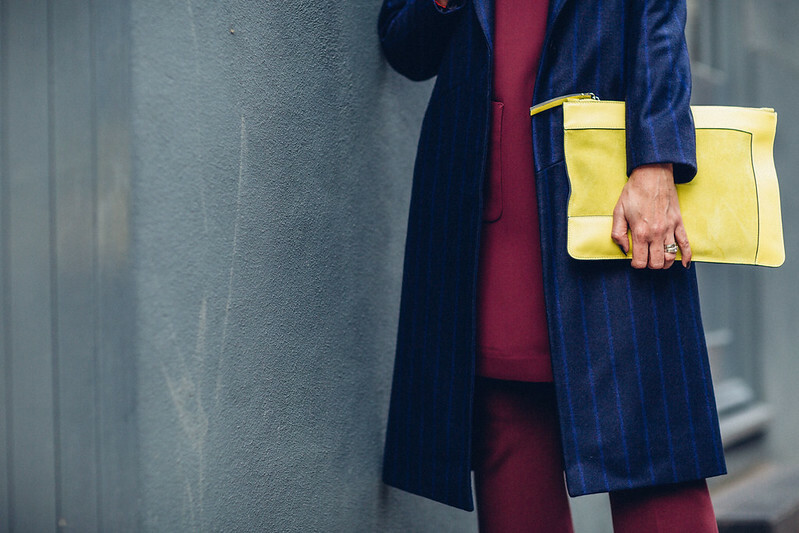 The acid yellow clutch adds a gorgeous “zing” to the overall rich darkness. I’m most comfortable when I have my legs covered (hence my signature trousers-under-a-dress look), but this dress would be classy with just opaque tights and heels and maybe a cami or t-shirt underneath to add a touch of colour or detail at the neckline. 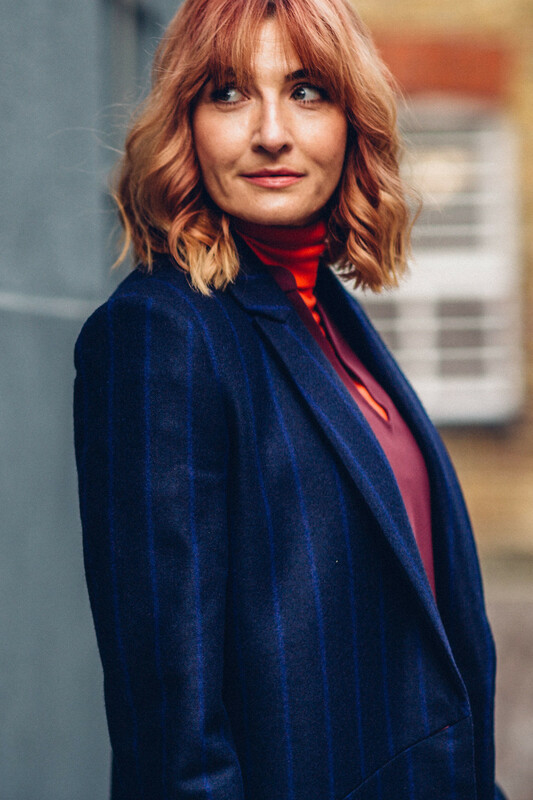 I also think the coat will look great with black – navy and black are great together but a navy pinstripe and black is even better. 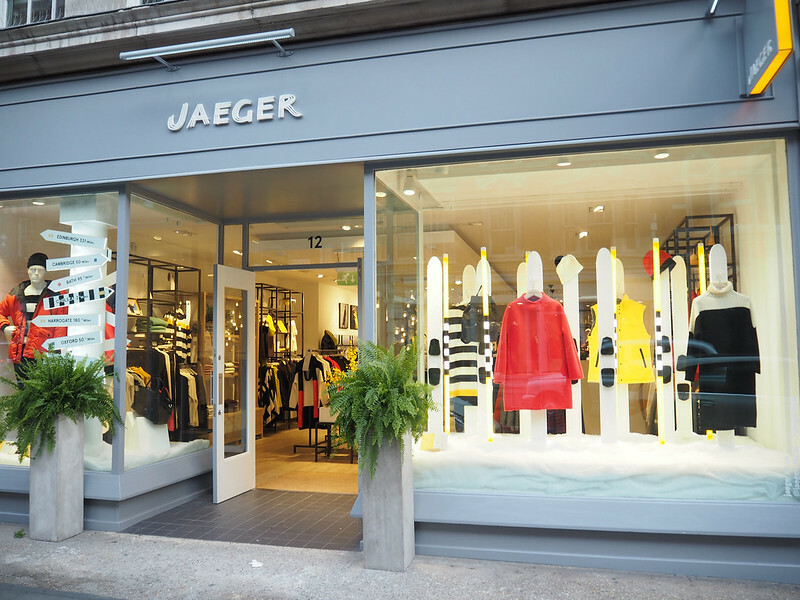 Huge thanks to Jaeger for inviting me to check out their new store – I don’t have a stand-alone Jaeger anywhere near where I live, and as someone who does 90% of her shopping online it was a pleasure to browse the collection in person. 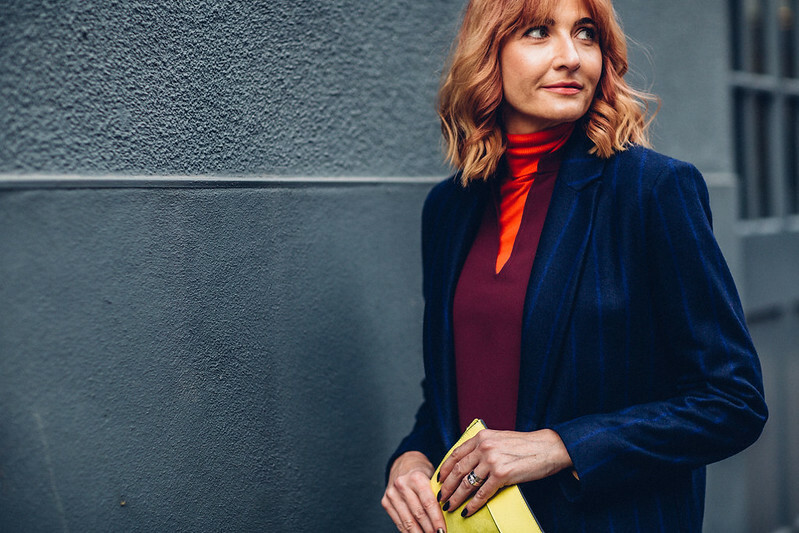 I think I drooled over every single piece – as a brand that spent quite a few years being the place for “old ladies” (sorry but I can’t think of a better way to put it), it is now a truly modern, stylish brand perfect for us over 40s (didn’t I say that already?) – and younger girls as well. There weren’t any pieces or sections in the store that erred on the side of frump or garish “Mother of the Bride” floral styles, which was a wonderful relief. It was all clean, sleek and either beautifully soft or wonderfully bold. So flattering, so classy, and so covetable. Can you tell I’m smitten…?! 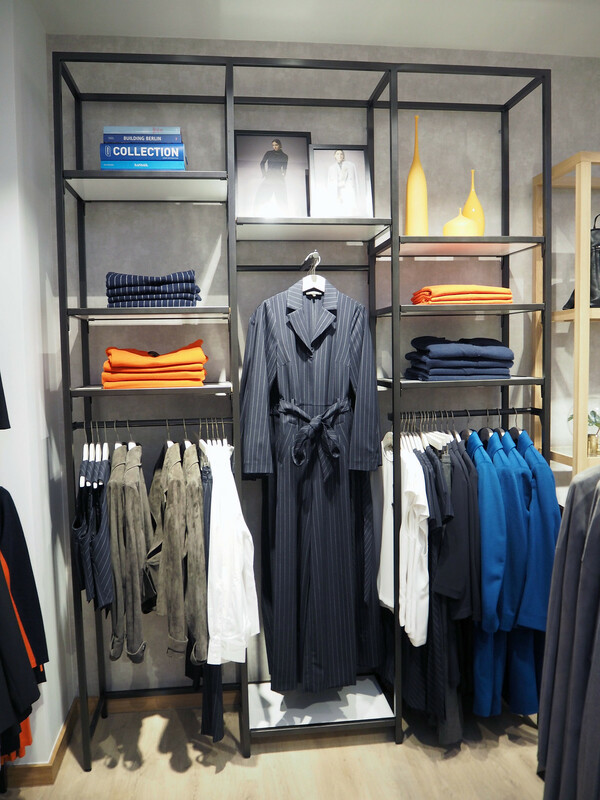 HAVE A LOOK THROUGH THE IN-STORE PICTURES BELOW AND TELL ME WHAT YOU THINK OF THE JAEGER COLLECTION – EITHER IN THE COMMENTS OR TWEET ME @NOTLAMB – PLUS HAVE I WHET YOUR APPETITE FOR VISITING MARYLEBONE…? I HOPE I HAVE! 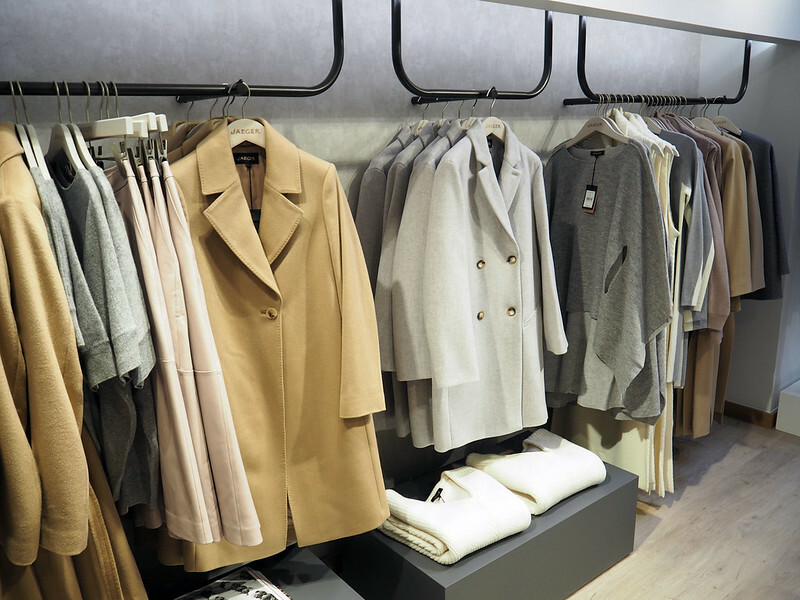 Possibly the best selection of duster coats and neutrals anywhere on the high street. The camel coat was a popular choice amongst other bloggers who were invited to the store. I didn’t know that Jaeger did jewellery – the pieces were stunning: Bold and graphic. The tortoiseshell pieces and resin gem cuffs were my favourites (and don’t miss the black 3D-printed jewellery which was amazing). 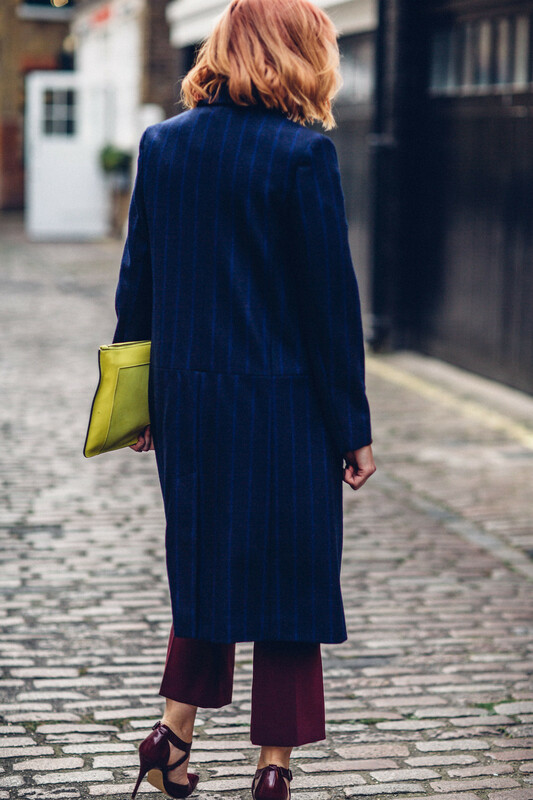 Pinstripe – for a traditionally “officey” fabric – is something Jaeger do brilliantly. 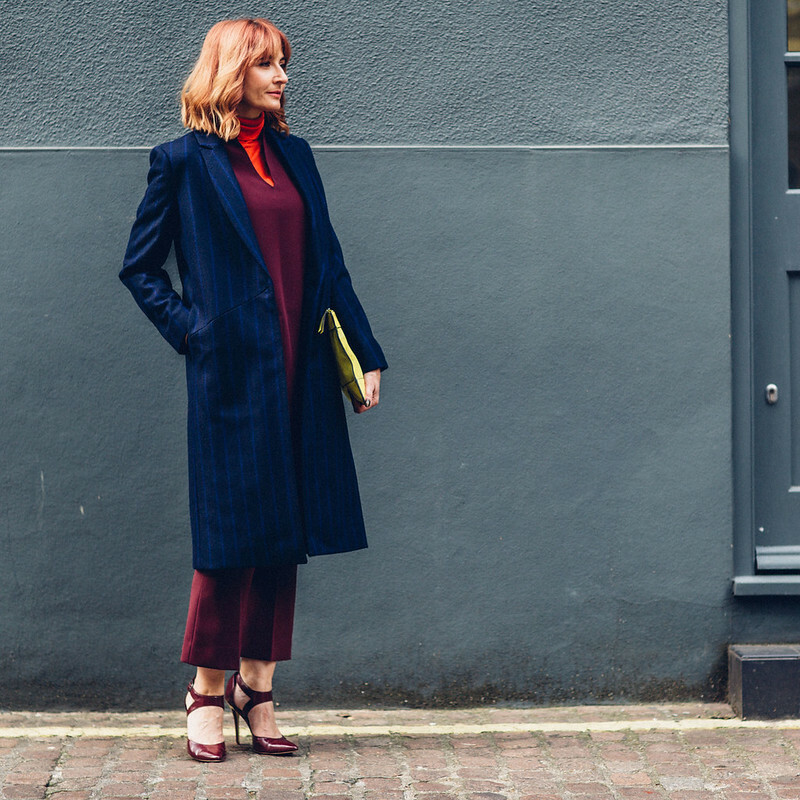 This jumpsuit is the bomb, and how good does a navy pinstripe look with bright orange?! I had trouble resisting the grey graphic coat with the acid yellow cowl neck tunic, and the picture on the right shows yet another classic camel coat (it’s reversible, so you get two coats in one). Smart weekend perfection. If ever there was an area in London that feels cosmopolitan but not “high streety” and with a lot of class and character, Marylebone would be it. As you can see from these photos nearly every store, restaurant and business is housed inside a beautiful building and there are character details everywhere you look. You’ll find organic restaurants, old-fashioned bookshops, classy pubs and all the boutique and affordable top name clothing brands you can think of. Jaeger have done well to open a store here – it fits in perfectly, and if you’re wanting to get away from the crowds of Oxford Street (and its reputation for being a little tacky), Marylebone High Street is less than a 10-minute walk up from Selfridges… Don’t miss it if you’re in the area. Disclosure: I have written this post in collaboration with Jaeger (click here for my full disclosure). All content is original, however, and opinions are my own and 100% honest. I am a bit late for this post, but I hope you don't miss my comment. Not that I have too much to add. Just that this outfit is indeed very you, very vibrant, very classy. I love everything. I saw Jaeger on Nikki's blog too and had my own browse through their online shop. Quite impressive. I could go bankrupt over their pieces. I did hesitate when I saw the pinstriped jumpsuit. Love it. But as I look really bad in a jumpsuit I decided not to try it after all. This is a fantastic look on you Catherine! You know my feelings on a poloneck underneath, well, anything!! Perfection. Your photography is fabulous….the grey against the jewel tones… wonderful. 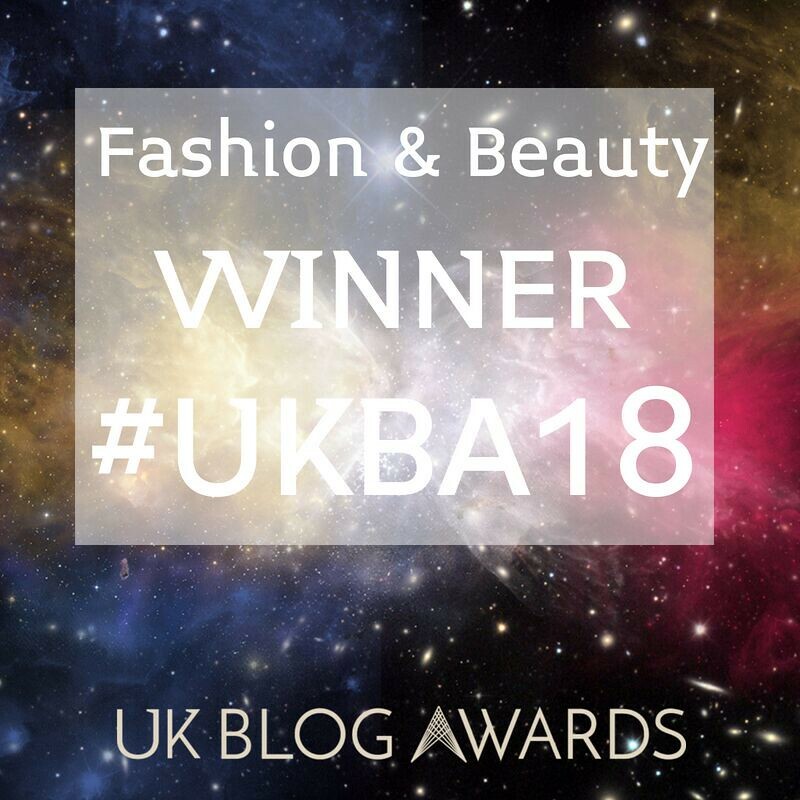 A woman, over 40 modelling clothes for women over 40!!! Bravo Catherine and Bravo Jaeger!! I literally whispered, "Oh my with those first two pics!" Stunning! Leave it to you to combine blue, purple, and orange. I'd never think to, and I'd never pull it off, but that combo is just so natural for you. That's pretty awesome! What a great styling Catherine, excellent opportunity with Jaeger, and fun experience! I thought it was a very Classic brand! Well, not as stylish as it is now. I love 3d printed jewelery, you see it more and more. I have tested a 3doxygen glasses! Catherine, those colours are stunning on you! It's probably still an hour or so away from you, but there's a Jaeger outlet shop at Clark's Village in Street, near me in Somerset. Worth remembering if you're traveling this way! I haven't actually been inside before, but I will definitely take a look when I'm over there Christmas shopping. I don't know London very well at all, so thank you for the recommendation about Marr-le-bone – I'll check it out next time I'm over that way (which sadly could be a long time!). I remember Marylebone from the Bakerloo line from when I was in London years ago! I often find Jaeger items in the thrift stores over here in Canada (mostly from the "old lady" lines of the 60s) – it's fabulous quality. Lovely outfit, Catherine! I covet that coat! Wow! Jaeger has come a very long way, hasn't it? I will definitely be visiting Marylebone next time I am in London and Jaeger will be my first call. Fabulous outfit, Catherine! Catherine…what a stunning outfit on you! I can see why you've been bitten by the Jaeger bug!! Yet you've still made it your own with the orange color peeping out at the neckline!! I'm not sure I knew about Jaegar—I know there's a knitting brand that name, and now I wonder if it's the same?